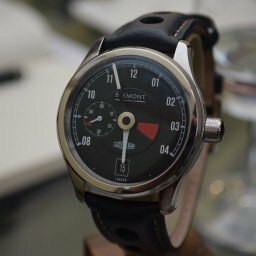 Last time around we covered some of the new releases from Bremont. This time we will continue through the rest of the line-up and perhaps a short rant on a certain film tie-in to round things off. The U-2 was originally inspired by the elite u-2 spy plan squadron. There has been a new addition with the launch of the U-22. 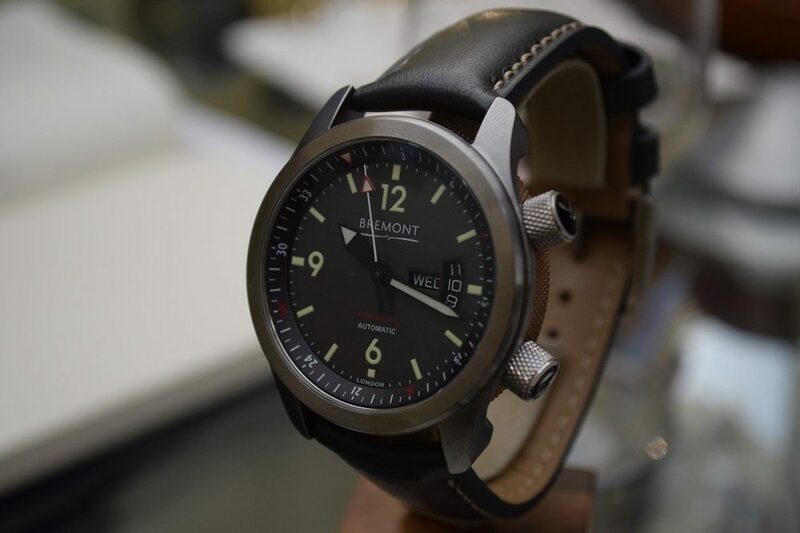 Featuring a newly developed bezel design, together with a new barrel colour and date aperture design. 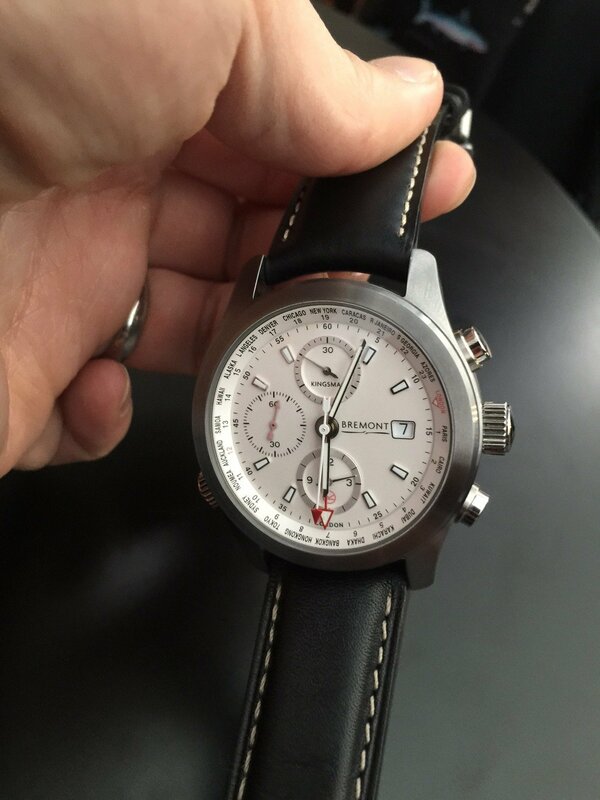 It harks back to its aviation roots with the date display reflecting the view found on an altimeter. The other significant difference is the change of indication on the rotating inner bezel. Originally in the U-2 it was designed to measure 60 minutes, but for this newer model it has been updated to show compass quadrants. Further design cues such as the hands and the new bronze coloured barrel are drawn from military uses. 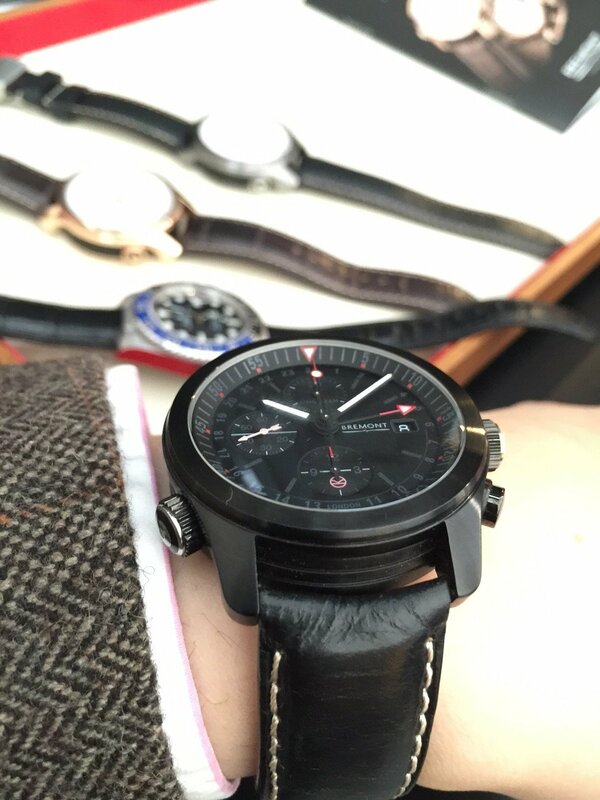 Unlike the U-2 however this new U-22 has an exhibition case back showing the lovely automatic movement. 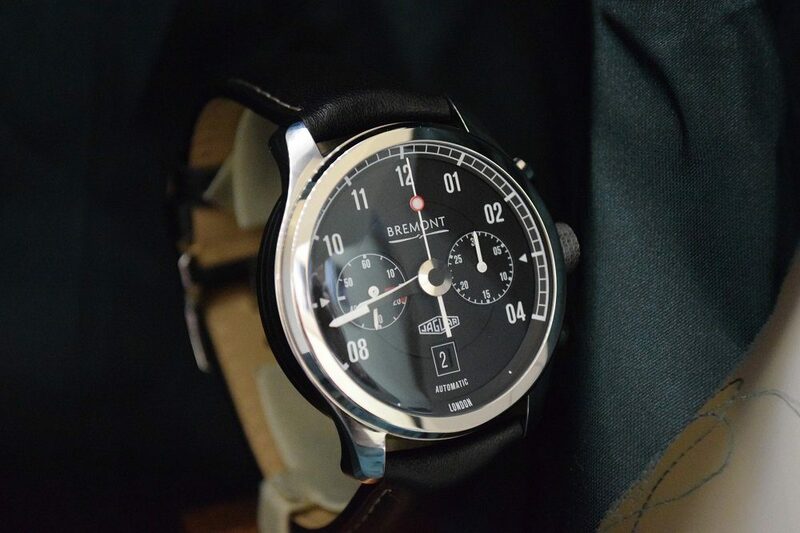 As is with all Bremont watches special attention has been paid to the rotor. Another continued collaboration this time, with Jaguar. 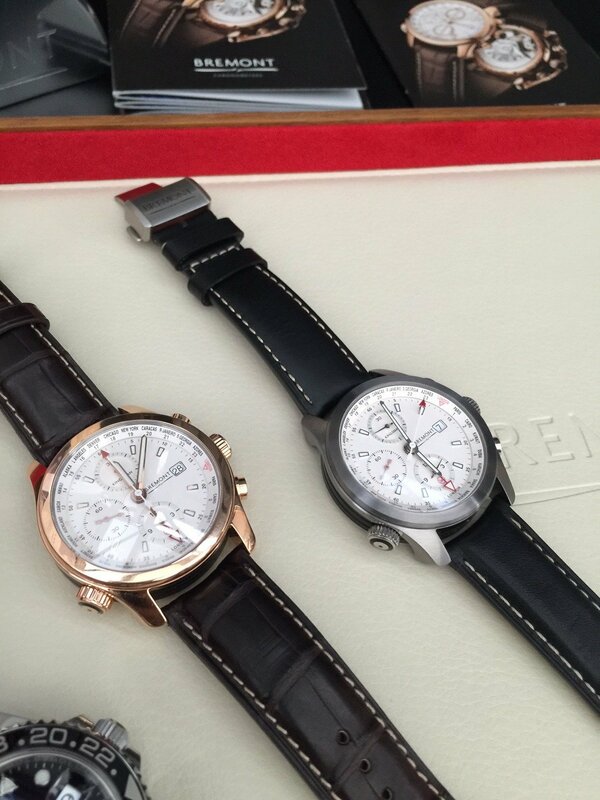 2 new models were given their global debuts during Baselworld, March 2015. Mk1 and and Mk2 (above) take their design cues from the dashboard of the original E-type from 1961. 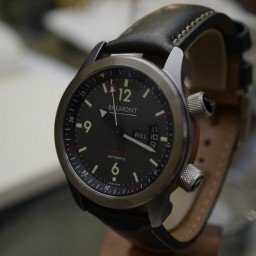 For you Bremont aficionados out there, the Mk1 (below) is very similar to the Jaguar ‘Lightweight’ limited edition watch released last year in very limited numbers. 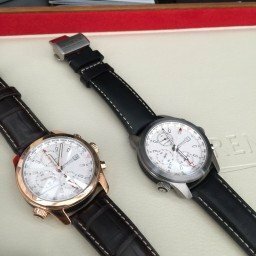 Both of these watches are beautiful, admittedly their most beautiful side is on the reverse. On the caseback is an exhibition window that truly shows off the work and finishing that has gone into both of these new Jaguar models. The rotor is of course the main talking point. 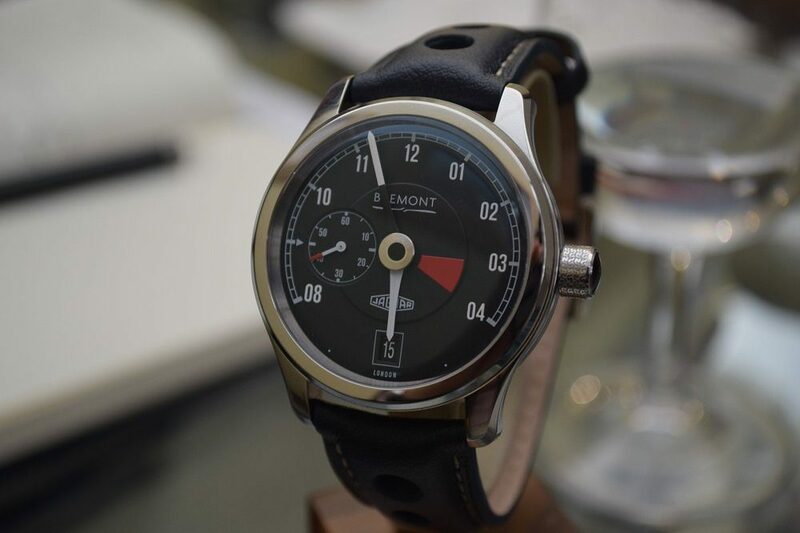 Design cues from the original E-type steering wheel replicated in rotor form. It is simply glorious. 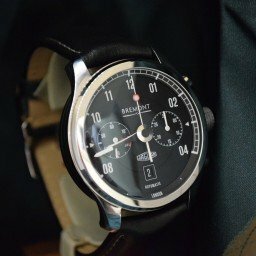 I wish more watch manufacturers would have such flair and daring when it comes to rotor design. Paying homage to a classic and stunning car is one thing, re-interpreting the design language and looking damned good at the end of it is on a completely different level. 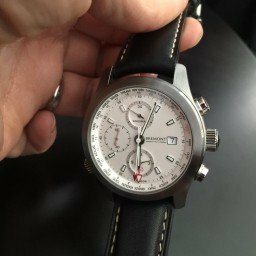 And finally, after watching the rip-roaring and ultra violent film that is Kingsman, I was able to get my hands on the Bremont Kingsman Special Edition watches. 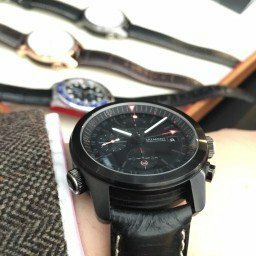 I love Baselworld! Here are some images to show you what was on offer. The three versions are all lovely in their own right, but like all journalists, or at least watchnerds, I have my favourites. At first glance I would have said the Black DLC version due to its stealthy look. To some it is the Rose Gold edition that only fully fledged members of Kingsman wear. For me, it had to be the stainless steel edition, smart, unfussy and not pretentious. For a movie tie-in, these watches are subtle and backed up by good watch design. Not just motifs all over the dial as we have seen before. And if you have not seen the film yet, watch it, Samuel L Jackson is especially good as a lisping villain.